Our passion is sharing great wine and food. It’s the same passion that drove Frank Nola early last century and lives on today through Personalised Wines. Frank Nola was originally from Podgora, a Dalmatian village on the Adriatic coast. Finding few opportunities to advance himself in his homeland he immigrated to New Zealand in 1898 with nothing in his pocket and nothing to fall back on. Proud of his origins and Dalmatian heritage, he relentlessly toiled under poor conditions at all manner of back-breaking labour-intensive work. Unfailingly he applied dedication and commitment to all his endeavours which earned him considerable respect in his new home. Having gained citizenship in 1907 and by then with sufficient money to return to Podgora, Frank married his Dalmatian bride and returned to New Zealand in 1911 as a newlywed. Initially the couple lived for a short time in Taumarunui before moving that same year to Dargaville in the Kaipara where they leased a promising block of land and planted a vineyard. The grapes took three years to mature but in 1914 Frank pressed his first vintage. Frank had found his new homeland appeared to be missing a few things. Apart from olive oils and traditional Croatian food, wine was also in seriously short supply. In Croatia wine was central to the daily table that brought families and friends together. It was part of everyday life. Deciding to grow his own on the land leased as a market garden, orchards and vineyard, the decision to then concentrate on grapes was likely influenced by his upbringing. Wine-making had passed down generations attended by virtually no scientific skill, reliant rather on traditional wine-making practices. The knowledge, skill and passion that result from such a long family involvement in the New Zealand wine industry is the reason behind the quality and distinction of each bottle of wine produced by Personalised Wines. Personalised Wines’ experience as wine-makers helps us maintain close relationships with our vineyard partners. Our objective is to supply our customers with a product range which gives them a leading edge in the market place. It’s our goal to introduce the highest quality product range of selected wines to as many consumers as possible. To this end we take great care to support our discerning clientele in every aspect of sourcing and delivering only premier calibre product. Personalised Wines is one of the last historical wine companies in New Zealand still in the hands of the founding family and is currently run by the family’s third generation. Personalised Wines grew out of the original vineyards first established in Dargaville in 1914. The business survived despite early archaic laws and attitudes and continues, with the foresight developed by the third generation’s historical wine-making expertise, to evolve to meet the needs of the modern wine appreciator. This wealth of knowledge and our longevity brings us stability, balance, and credibility and thus a great degree of comfort to all our clients. Personalised Wine’s holdings and sales performance position us as one of New Zealand’s leading wine businesses as we grow from strength to strength. The online world has become increasingly important to our success and we have enjoyed the challenges and growth this sector presents. 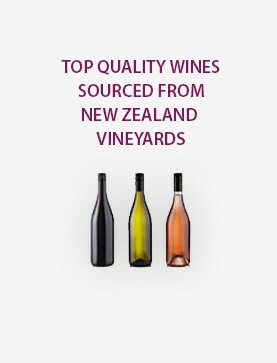 Our business models enable us to source, supply, package, and distribute a broad range of Personalised Wines from vineyards and wineries all over New Zealand. Today we are proud to still be working with our wine partners. Our history, in combination with our drive for innovation, inspires our future direction. Our philosophy is simple. We seek to work with leading producers to hand-craft wines that are truly representative of both the wine’s region of origin and the wine-maker’s individual wine-making style. These are the wines on which our reputation rests, so you can be sure that we have left no stone unturned in unearthing the best value and quality possible in each region.